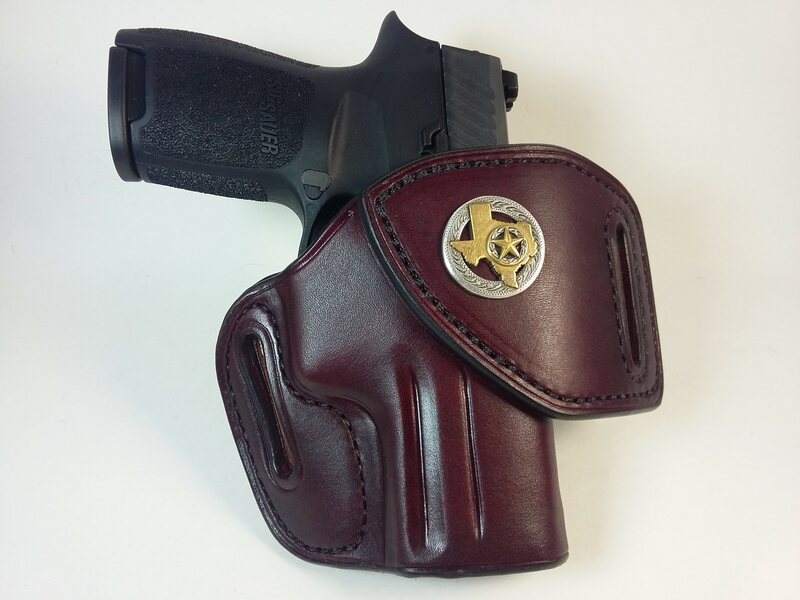 I ordered a new holster from Tucker Gun Leather today. There HF1 leather holster for the Sig P320 compact i bought last week. Should be here within three weeks they told me. I ordered by phone. The guy told me at one time orders were taking fourteen months! I assume it was when the open carry law came to be almost two years ago. You'll love it, whether it takes 3 weeks or 30 weeks to get your hands on it. E-mail from Tucker gun leather yesterday (Saturday). Holster is in the mail. Tracking indicates expected delivery on Tuesday. That would make it just ten days from order date to in hand! What great service. I shall post a picture. Got home from work today ...and.... my new Tucker holster has arrived! Must be record time. Nine days from date of order. I now see what all the fuss was about with these holsters. My weapon fits perfectly and the workmanship is fantastic. I have nothing but good things to say about the Tucker Gun Leather. Thanks cmgee67. This looks like an open carry waiting to happen. Very nice, now I want one. Looks great, now get it worn in!! Fire up the smoker.... TDS is now BBQ certified!! I finally ordered a single magazine leather holster carrier for my Sig P320 from Tucker gun leather. Took me awhile to decide if i wanted to carry the extra weight on my carcass. Wanted to make sure it was comfortable enough for a BHM to carry all day along with the weight of the gun. Should take about two weeks to arrive. I have a dual mag carrier that I wear with 1911 extended mags in it and it is just fine.